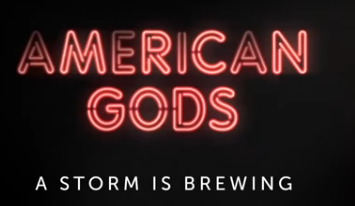 It’s been awhile since we hosted a giveaway here at With An Accent, and American Gods did just premiere, so why not? 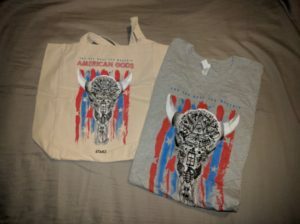 Enter now if you’d like to win an American Gods tote and Size Large T-shirt. You have until Sunday, 14th May at 8pm PT to enter when we’ll randomly select our winner. * Because of the prohibitive cost of shipping abroad, we regret that this contest is only available to ship in the United States. Following on FB, Google+ (Margaritka Kancheva) and on Twitter (@mokolad). Liked the FB post and RT’d. I don’t see a Google+ post to +1 though. I have also now regrammed the post on IG. I’m rainbow.brite13, rainbow_brite13, or rainbow-brite13 depending on the platform. FB is Colleen Rose Thompson.